New study demonstrates how man's best friend is helping scientists sniff out what's killing avocado trees in Florida. Experts at the Florida International University are asking dogs for help in an agricultural problem that's affecting avocado trees in the state's southern areas. 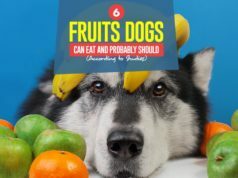 Dogs, with their highly sensitive noses, are sniffing out the problem that has been killing the crops and there are promising results to the trials. 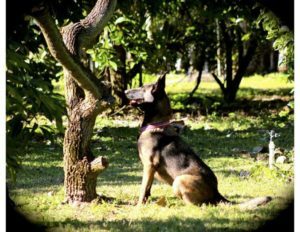 The study, published in the journal HortTechnology, involved training three dogs to detect signs of laurel wilt disease in trees. Of the 229 trials that these trainee canines have done, only 12 attempts failed or drew false alerts. 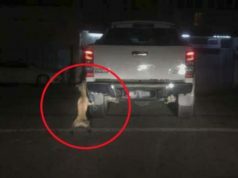 The dogs had a 95 percent success rate in the detection. The dogs, a Belgian Malinois, and two Dutch Shepherds were taught to sniff out and identify the disease's distinct smell in harsh hot and humid conditions, as well. Their detection enabled farmers to catch the disease early, thus saving thousands of more crops from ruin and death. The experts said that the canines' number of successful attempts indicated encouraging results. Dogs could also apparently be trained to help the agricultural industry. Dogs of various breeds have been trained to work in law enforcement and the military since a hundred years ago because of their super-sensitive sense of smell, which can detect concentrations of scents and odors within a minute at one or two parts per trillion, according to the study authors. At present, dogs help detect bombs, land mines and weapons in war zones around the world. They also help the police find missing persons, or trace drugs and other illegal items at the airport immigration. Dogs’ noses can also spot cancer diseases and urinary tract infections in humans. They sense diabetic attacks and seizures minutes before it happens. It's not surprising to find that some hospitals and clinics have canines working for them. Since 2011, some 300 million trees in the U.S. have perished from laurel wilt disease. A pathogen so lethal, which comes from the Raffaelea lauricola fungus, this has mainly spread over laurel trees and have slowly affected surrounding crops. The problem, however, is that there is no treatment to laurel wilt disease and the fungus spreads so quickly that it's impossible to contain it. It's causing a devastating effect to one of Florida's most productive and fruitful crops — the avocado. The avocado drives the state's economy with roughly $24 million a year in gains. Larger and greener than the variety California produces, Florida's avocado has lower calories and are priced slightly higher than the Haas avocado. Remaining avocado growers are anxiously looking for alternatives to save the trees after some farmers have burned and abandoned their groves because the crops are no longer useful. To develop an avocado seed that's resistant to the fungus could take over 10 years. With no cure in sight, early detection is the only way to go, lest Florida's avocado industry disappears in the next 15 years. The experts said that the dogs, named Candy, Cobra, and One Betta, were trained to detect laurel wilt disease in trees for a year before they were brought to the groves. They were more than happy to get to work and excited about visiting the groves three times a week to do their task. Study author DeEtta Mills also said that at this point, the dogs are the best technology against this agricultural problem. They are effective too since the dogs can spot the disease even before the external symptoms become visible in the crops. It's not the first time, however, that dogs have been asked to work in an agricultural environment. Dogs were also able to detect citrus diseases or knapweeds in crops.